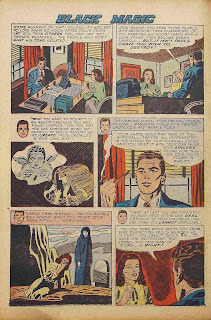 In 1953 Mort Meskin got his own magazine, Strange worlds of your Dreams, based on his experiences with psychiatry. 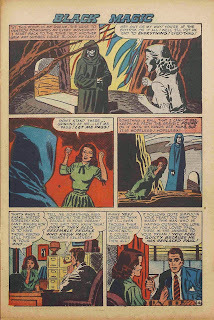 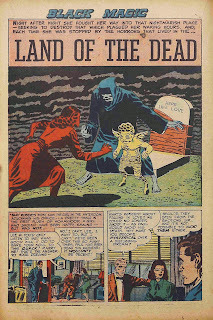 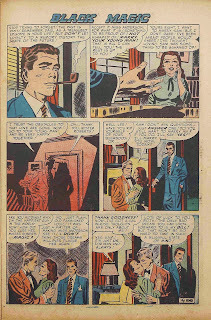 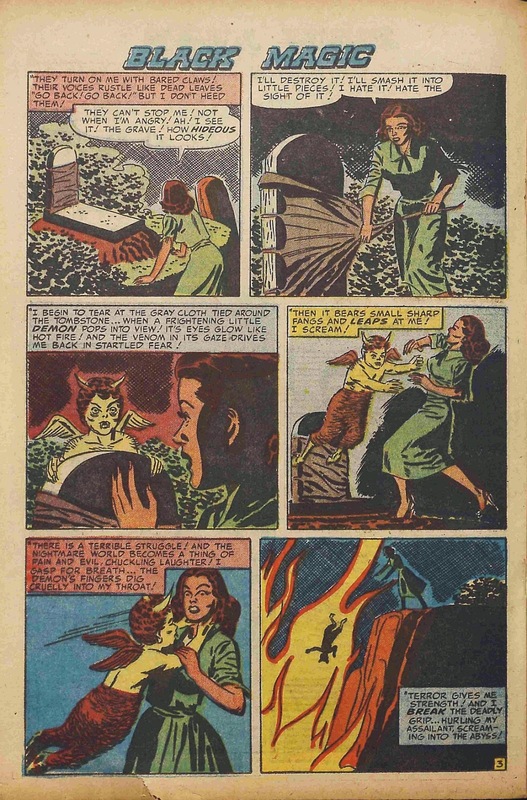 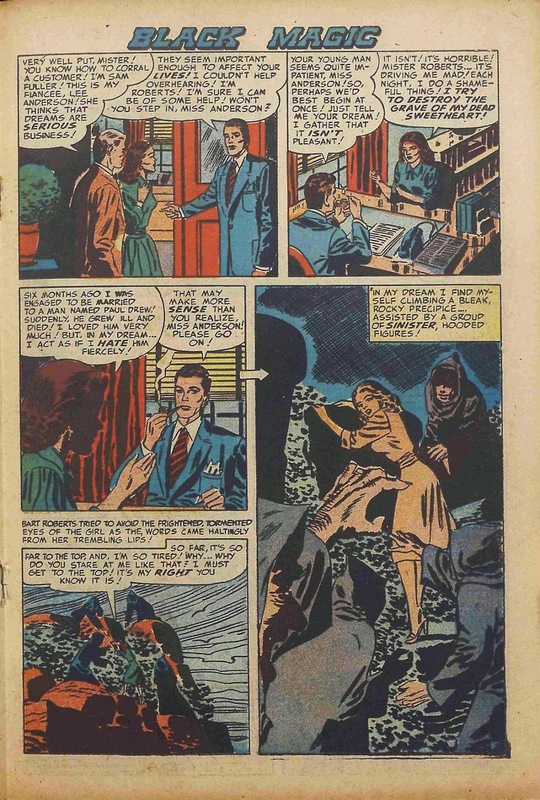 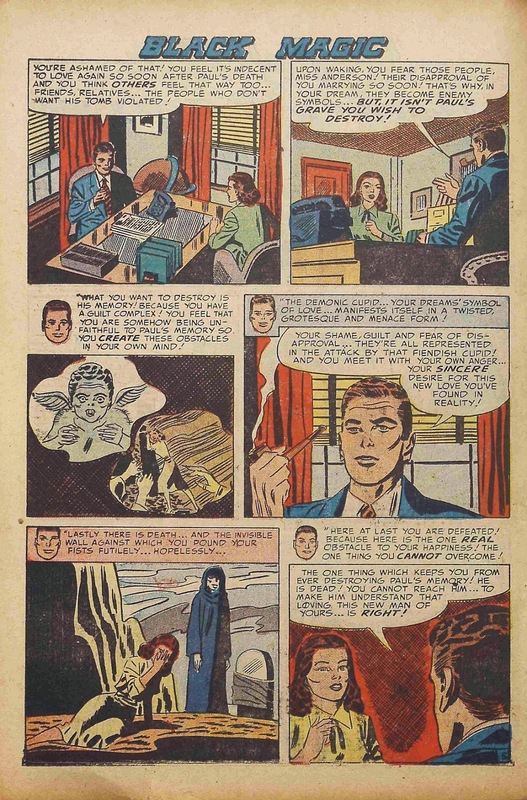 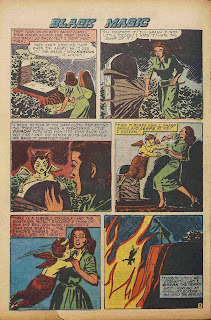 Produced from the Simon and Kirby studio's under the wakeful eyes of his bosses Jack and Joe, it takes him so much time that he does not appear in Black Magic for a while. The last time we saw him was in #19, the first time after that is in #23. It does seem he has matured in the meantime. 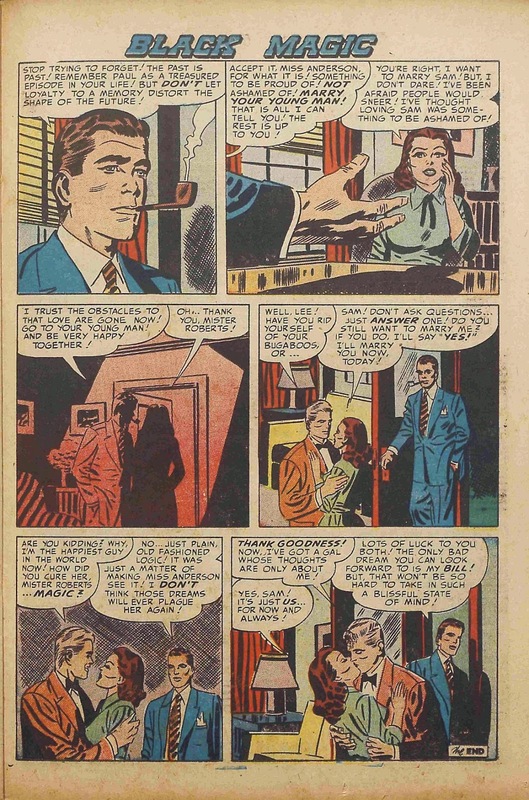 His linework is a little bit finer and it seems he took a little more time to finish it.